When disaster strikes, you may have only minutes to safely make it out of your building and help others along the way. Smoke and fire can greatly reduce your overall visibility, making it critical that you have access to adequate lighting in the event of an emergency. 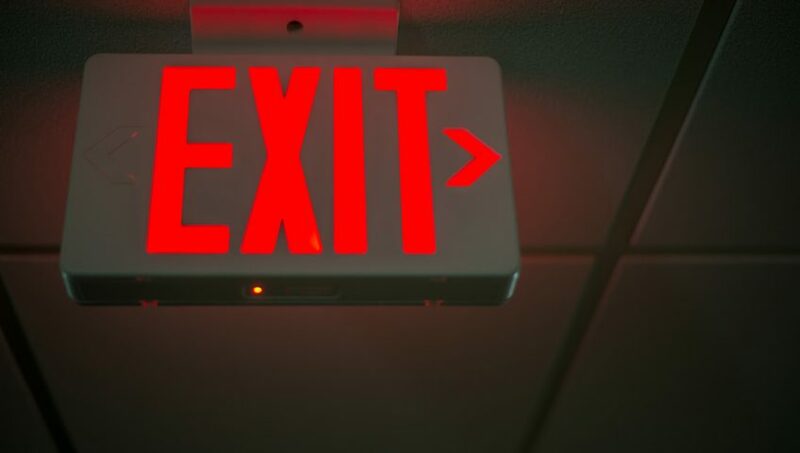 Commercial lighting, together with proactive fire prevention and control measures, may mean the difference between everyone getting out your facility safely and having a serious injury or even death. Here are several benefits of adding LED lights to your fire protection plan. Standard light bulbs that have been used in buildings for years may be relatively bright, but they can also burn out quite quickly. This could leave you in a disastrous situation — with some or all of your crucial light bulbs unable to shine through the smoke and debris during a fire or other emergency. LED lights are incredibly bright, and the particular shade and strength of the white light help it cut a wide swath of visibility through your rooms. Mounting standalone LED lights in enclosed areas of the building, such as stairwells, allows you to ensure that your staff and guests will not be stuck in a situation where the lights go out completely and leave them in unfamiliar surroundings in the dark. LED lights are incredibly cost-effective and energy efficient, providing years of worry-free service for your building. While traditional light bulbs can burn hot, perhaps even hot enough to burn if they’re defective or left on too long, LED lights are cool-burning bulbs that can easily be controlled via an automated mechanism for additional energy efficiency. You might be surprised to learn that not only are LED bulbs easier to maintain, but they can be up to 30% more efficient than a traditional light bulb! This saves you money on replacements, and the bulbs are more efficient to run. Since LED lights are often part of a digital fire protection and prevention system, you can easily monitor their performance from a central location. This reduces the need to individually test light bulbs on a regular basis to ensure that they are still workable when you need them. They still need to be tested annually, but they may only need to be replaced after many years. This is particularly handy when you’re dealing with emergency lights that are mounted high above the ground and difficult or dangerous to reach with an everyday ladder. LEDs are also the ideal choice if your building has extreme conditions, such as a freezer or a space that needs to be warmer than comfortable for long periods of time. These exceptionally durable bulbs are not as affected by swings in temperature as traditional bulbs might be. Are you confident that your building is fully up to building code regulations for your area? If not, contact the professionals at AAA Fire Protection. We will work closely with your maintenance and operations teams to ensure that your lighting and fire protection meets or exceeds all local codes. Contact us today for a free, no-obligation consultation at 855-778-7807 in the Northern California area. We service a variety of industries and offer 24-hour emergency service and you will always reach a live person when you call with an emergency!